Erin Kramp was one of those rare people who had it all together all the time. Whether playing the role of a successful businesswoman who served on boards of directors by her 20s, in her marriage or as a mother to her young daughter, Peyton, Erin exuded a joy of life, a sense of ease and a quality of presence that were both palpable and contagious. Put another way, Erin had mastered “flow.” And as events would later prove, Erin could maintain this same level of productive, positive presence — that same flow — regardless of external circumstances. Everything seemed to change for Erin when she received a breast cancer diagnosis. Instead of buying hospitals as an investor, she was suddenly seeing them from the inside long before her daughter was grade-school age. But the most important thing, the essence of how Erin saw herself and interacted with the world, did not change. Instead of feeling like a victim of circumstances, she refocused her priorities and applied the same positive presence to the situation at hand. People noticed. First, her local Texas newspaper featured her, and later she appeared on “20/20” and “The Oprah Winfrey Show.” (Winfrey subsequently selected Erin as one of her most memorable guests of all time.) They all were fascinated by Erin’s ease and presence, especially in a series of tapes that she created for Peyton containing life lessons on everything from how to put on makeup to how to pick a husband. With her husband, Doug, Erin wrote a book, “Living With the End in Mind,” to help others in their journeys. She passed away in 1998, in flow to the very end. What Is This Elusive “Flow”? As part of his efforts to develop a better understanding of the underpinnings of happiness, psychologist Mihaly Csikszentmihalyi realized that some people experience an absorption in their activities to the point of a state of consciousness that he called “flow.” In more modern terms, this is often described as being fully present. In his book “Good Business: Leadership, Flow and the Making of Meaning,” Csikszentmihalyi describes the experience of flow in detail. Here are a few excerpts (emphasis and paraphrasing added). Goals are clear. True enjoyment comes from the steps one takes toward attaining a goal, not from actually reaching it. People often miss the opportunity to enjoy what they do because they focus all their attention on the outcome, rather than savoring the steps along the way. Concentration deepens. In everyday life, as we move through the day from morning to night, we rarely concentrate our attention beyond a very brief and superficial level. Instead we are constantly distracted, our attention flitting from one stimulus to the next. Such chronic distraction makes it difficult to experience the wholeness of our being. In flow, however, action and awareness merge in a seamless wave of energy. The present is what matters. Because in flow the task at hand demands complete attention, the worries and problems that are so nagging in everyday life have no chance to register in the mind. Our attention must be placed on the present. Events from the past or the future cannot find room in consciousness. Being in control is not important. In the clearly circumscribed world of flow activity, we know that as long as we respect its challenges and develop the appropriate skills to meet them, we stand a good chance of being able to cope with the situation. It involves a sense of confidence that comes from surrendering to the requirements of the situation (not trying to control them), becoming a vessel, being inspired, or of becoming possessed by the Muse. The loss of ego. Self-consciousness disappears and one is momentarily relieved of their ambitions and defeats as well as their fears and desires.While immersed in the experience, one tends to forget not only one’s problems and surroundings, but one’s very self. According to Csikszentmihalyi, the key to happiness consists in how we invest our psychic energy. When we focus our attention on a consciously chosen goal, our psychic energy literally flows in the direction of that goal, resulting in a reordering and harmony within consciousness. Toward the end of Erin’s life, she found that this process accelerated significantly, so she would only have to think about wanting to connect with someone, for example, and they would immediately reach out to her. 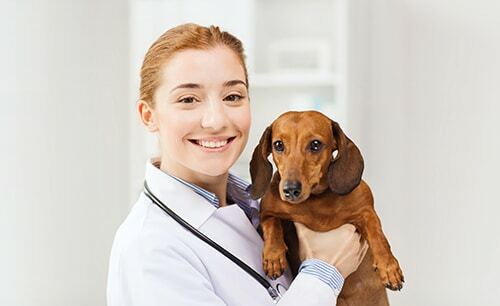 Why Is “Flow” Important for the Veterinary Profession? Driven by a variety of external pressures — economics, rapid technological change, shifting gender and generational demographics, an increasingly competitive marketplace, to name a few — we’ve lost ourselves in “doing.” We’re a bunch of high achievers, perfectionists and control freaks, so the volatile, uncertain, complex and ambiguous world around us can push us to our limits. Many feel that they are on an accelerating performance treadmill with no end in sight. What Can People Do to Bring More Flow Into Their Life? Get out of your head and stop trying to be in control of everything. Getting out of your own way and achieving flow involves shifting from a focus on self-referential thinking (e.g., regretting something you did in the past or worrying about something in the future) or resisting something (e.g., body sensations, cravings, etc.) to simply “being” with it, simply noticing it without judgment. By being present to “what is” in our lives in a way that is curious, compassionate and courageous, we allow ourselves to gently release the baggage that we’ve been unwittingly toting along for so long. We suggest that you start to pay attention to how frequently your thoughts drift through reliving events, anxieties about things to be done in the future, and responses to body sensations and cravings. As you notice those thoughts occurring, see if you can maintain a sense of curiosity or even wonder, rather than any element of self-criticism. Try saying to yourself something like, “Hmm, there it is again — interesting,” every time you find your mind wandering into this kind of territory. Be aware, but be gentle. As a tool for finding that clarity of goals that Csikszentmihalyi speaks of, we invite you to consider accepting our One Word Challenge to help you intentionally live a life that honors your values and sense of purpose. Gifted Leaders has additional info on the One Word thing at http://bit.ly/2rFQrvm. How would I choose to be different in the things that I do if I suddenly found that my life was nearing its end? For Erin Kramp, there was no waiting before or after the cancer diagnosis. She shared her gifts, her love, fully all the way through. What if we did the same? Go With the Flow co-columnist Dr. Jeff Thoren is vice president of VetPartners and founder of Gifted Leaders, a Phoenix company offering leadership and coaching services. 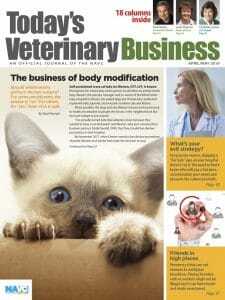 Co-columnist Trey Cutler is a veterinary transaction attorney.